How to Remove Peach Fuzz. Peaches are juicy and delicious, but for many the tiny hairs that surround the luscious fruit create skin irritation and itchy throats. Enjoying a peach without all the fuzz is possible if you know how to remove the skin. There are a few different approaches that can help you get the most enjoyment out of each and every peach. Check the firmness of your peach. If the peach isn't too soft, you may be able to peel the skin off using a serrated vegetable peeler. Serrated peelers have ridges rather than smooth blades like standard peelers. The sharp edges of the serrated peeler seem to be more capable of taking off the delicate peach skin. Use a paring knife if you don't have a peeler. Be careful because this can be tricky and you don't want to lose a finger. Also, it's hard to use a paring knife to skin a peach without losing a good portion of the tasty meat inside. Try a different approach when you have several peaches that need peeling. This will be especially useful if you're making a pie, jam or cobbler. First bring a pot of water to a boil. Make small incisions at the bottom of each peach while waiting for the water to come to a rolling boil. Two small slits should do the trick. Submerge the peaches in the water and wait 15 to 30 seconds. 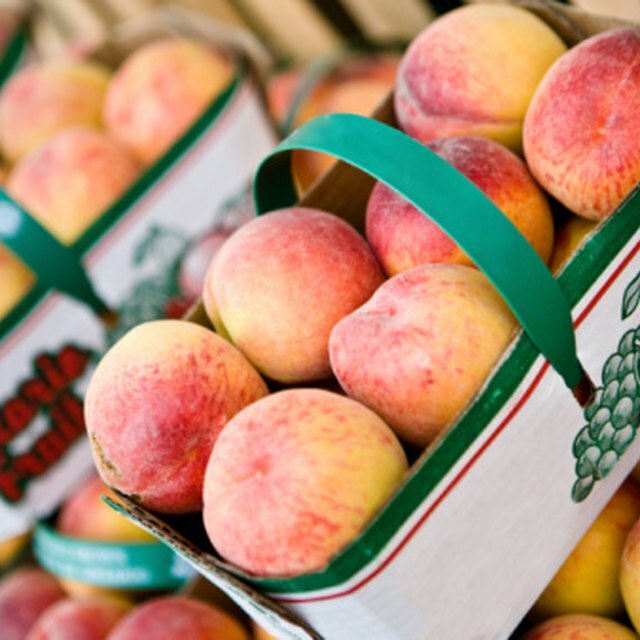 Remove the peaches with a slotted spoon and place them into an ice-water bath. Choose a peach and begin to rub. The skin will easily separate from the fruit inside. This method is also effective for peeling tomatoes. Is It Safe to Exfoliate the Face Daily?